Architecture is about relationships… not just relationships of space, color, texture, form. It is about relationships between people… client, architect, user, contractor. It is about the relationship of the architecture to the land, to its context, to its community. Established in 1989 as Bullock Associates Architects, PSB Studio ARCHITECTURE is an Atlanta-based architectural firm specializing in residential and small commercial design in the Southeastern United States. Pam Bullock is a LEED Accredited Professional with a specialization in Building Design & Construction (LEED AP BD&C) and a member of the American Institute of Architects. The mission of PSB Studio ARCHITECTURE is to recognize the unique set of relationships established by each project and to weave those complex relationships into a unified architectural design that responds to those needs. We use 3-Dimensional Building Information Modeling (BIM) from inception to help visualize design ideas and facilitate understanding of design intent. We also bring extensive local knowledge to your project: from environment and history, to building codes, engineering, value and sustainable design principles. Wherever we work, we seek out the best sources of knowledge for your project. Our approach mixes an international palette of experience and travel with a love and understanding of local historical trends. Whether it’s a classic Arts & Crafts bungalow, or an addition based on the homes of Normandy, our creativity centers first on your needs and budget. Residential projects involve a wide spectrum of budgets and scale, from small home renovations and additions to large custom homes and vacation and second homes. Commercial architecture focuses on ecclesiastical and office design. 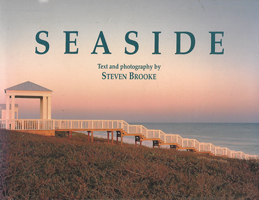 PSB Studio Architecture has been nationally published in the book “SeaSide“, Better Homes & Gardens, and Atlanta Homes and Lifestyles. Proficient-Professional-Personable" best describe my first - and lasting - impressions of Pam Bullock of PSB Studio Architecture! As far as her architectural drawings - both preliminary and permanent - are concerned, the word "Perfection" says it all! If you were to ask me about her vision and advice concerning design, cost effective upgrades and comprehensive renovations, I would have to say, "Priceless"! The result of our residential renovation project overseen by her speaks for itself: Buyers were so impressed that they willingly paid our price in spite of the economic downturn! I highly recommend PSB Studio Architecture! Pam designed a beach house for us at St. George Island, Fl. We wanted something unique—not grand, but rich in detail, and completely functional. Pam listened carefully, and translated these ideas into exactly what we wanted. Now, five years later, we couldn’t be happier. She was creative, responsive and a pleasure to work with. Over the nine years we have lived in our home, I have always called Pam before we start any new project whether it is large, small or unusual. She designed our master suite addition, our kitchen, some decorative additions to the front of our house, our roof-covered deck and our dock by the lake. Pam is easy to work with, and we are so pleased with the results. Working with PSB Studio has been a true pleasure and just plain fun!! 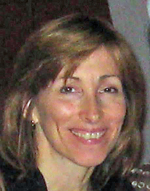 Pam Bullock is a registered Architect in Georgia and Florida. With a Masters of Architecture from Georgia Tech (and a year in Paris at the Ecole des Beaux Arts), she spent her first ten years of practice with large Atlanta commercial architecture firms, specializing in office and medical facility design. However, she found her work on residential and smaller commercial projects in her off hours were the most rewarding, inspiring her to launch the firm Bullock Associates Architects, currently known as PSB Studio ARCHITECTURE, in 1989. Pam is a longtime resident of the Virginia- Highland Neighborhood in Atlanta, Georgia.